Our blogger Emily recently chatted with folk duo Oakes & Smith briefly about playing at their first music festival, their full length album that was released last year, how their song writing process changes with 2 people and more! 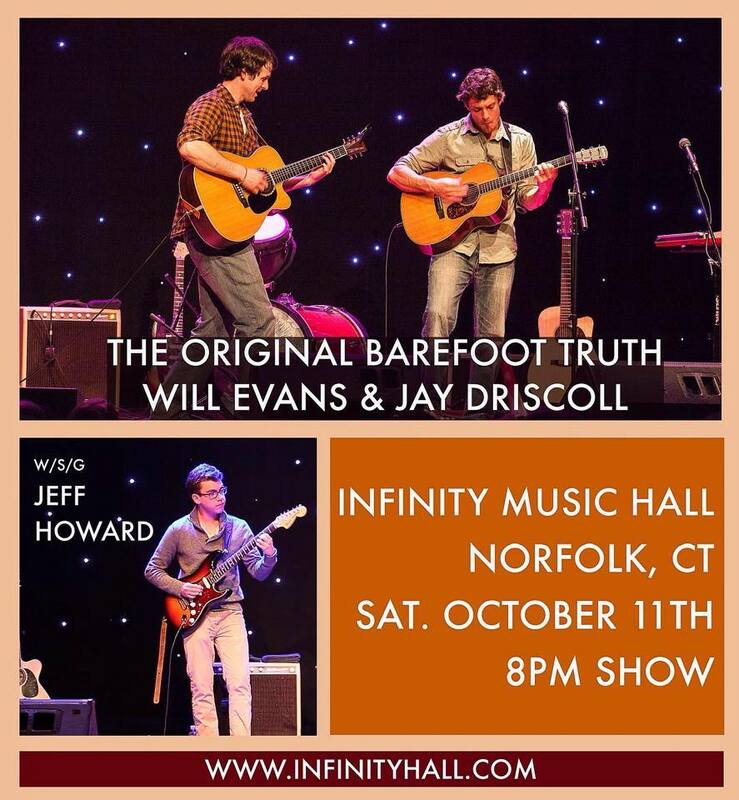 They are so excited to perform as the opening act for Will Evans, Jay Driscoll and Jeff Howard at Infinity Hall Norfolk this Saturday, October 11th at 8pm! For more details on the show, click here! Back in March, our blogger Emily also interviewed Will Evans! Take a look back at that interview and check him out on Saturday night! Listen to Will Evan’s interview! I first saw Ryan Montbleau play just after the turn of the century. 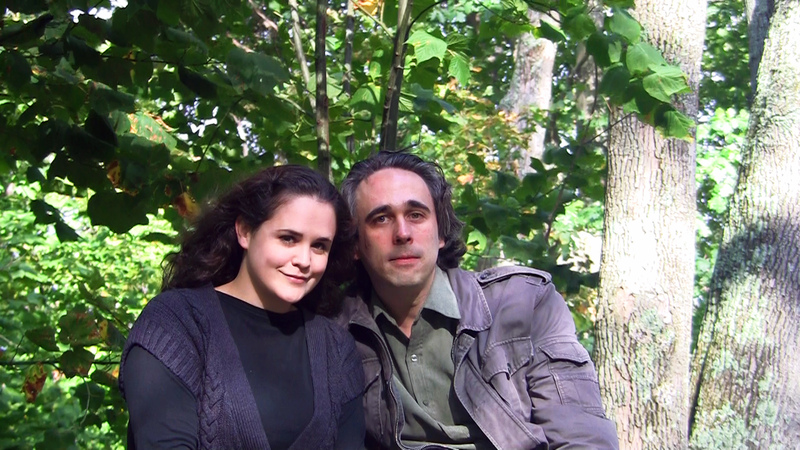 It was the early aughts, ’02 probably, maybe ’03. Things were different then. Independent bands operated differently. They asked fans to sign mailing lists so they could mail them post cards with show listings, like… through the mail. No joke, all the guys in the band I worked for, we would add our own home addresses to our own mailing list so our parents would know where we were on a given night. We started young back then. A few folks had email, a few cell phones here and there, but neither were reliable sources of mass communication at the time. Those days, in the circles I ran in, Ryan Montbleau was considered the singer/songwriter of jam, something I asked him about, actually. But in reality, I guess it just comes down to a gig is a gig and music is music. 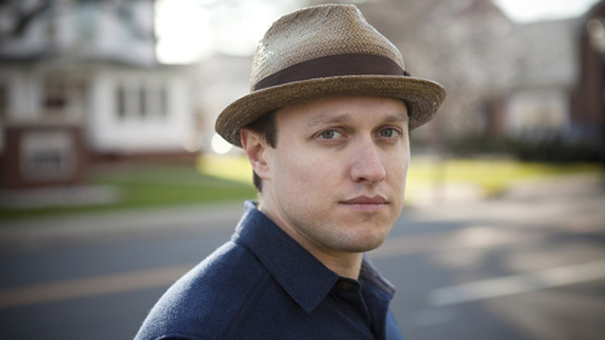 Ryan Montbleau is a son of New England and the Commonwealth, and a skilled purveyor of fine original songs. He can write serious hit numbers that speak to the masses, he always could. Jam festivals were just what was available to play around here then and Ryan found a home amongst the jambands and the jam promoters and the spin kids, to use his term in the song, 75 and Sunny, and they all loved his music, all of us did. 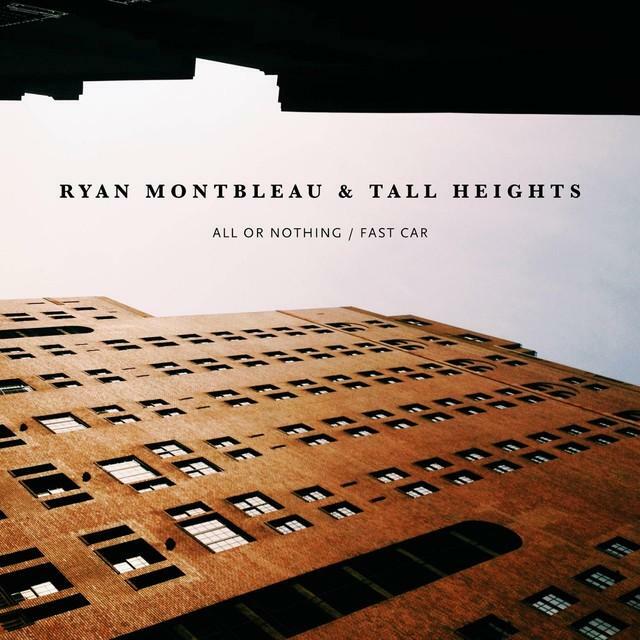 Earlier this week, Ryan Montbleau released a new original single, All or Nothing, a collaborative effort with Tall Heights, the duo of Tim Harrington and Paul Wright also of Boston. It was released Tuesday across all digital platforms with a cover of Fast Car by Tracy Chapman as the B side. I’ve heard it, it’s fantastic. Strongly recommend it for your personal digital library. The real treat in all this, however, is that the supporting tour with Ryan Montbleau (full band) & Tall Heights debuts this Wednesday 10/8 at Infinity Hall Norfolk and tickets are available, so this is not to be missed. Griff: So today I’m speaking with Ryan Montbleau. He’s just released a brand new single, All or Nothing, a collaborative effort with Tall Heights. Available Tuesday 9/30 on all digital music platforms. Of course we all visit ryanmontbleau.com for info & dates, and follow you on Twitter @ryanmontbleau but Ryan, welcome, tell us about the single. Ryan: Yeah I’m putting out two songs that I did with Tall Heights. Tall Heights is a duo from the Cambridge/Somerville area near Boston. 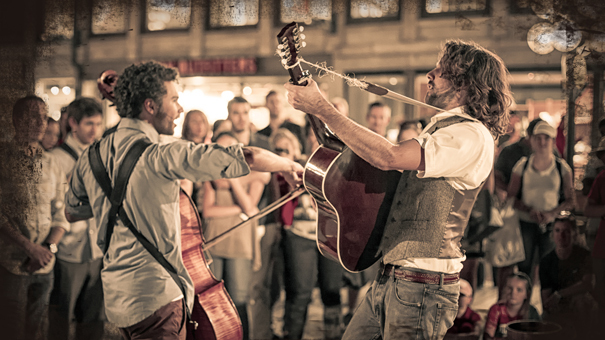 It’s two guys, Paul and Tim, they play cello and acoustic guitar and both sing. I met them a couple years ago here in Cambridge and we just kinda hit it off. I’ve done a bunch of shows with them since then and we’ve put together some tunes and we’ve just been recording this summer. So we put out a couple songs, an original, All or Nothing, and a cover of Fast Car by Tracy Chapman. Ryan: Yeah, I’m working on a lot of different stuff, it’s funny man. I’m writing tons of new stuff, playing a lot of new songs at the shows. I mean, we’ll probably do more stuff together, I would bet, me and Tall Heights. We have other stuff we do live, but these were two songs we finished this summer and felt really good about and I just want to put it out. I want people to hear stuff. It’s been a while since I put out any recordings, and I’ve been working on a ton of stuff and it’s just like, I’m dying to get it out there so I’m psyched for people to hear some of it. I just want people to hear it. Ryan: (laughs) Yeah! I mean, nah I’ll take it. For sure, man. I think that’s great, honestly. I feel that way. I feel like, I’m a singer/songwriter who has found a home in the jam world. Ryan: No, of course not, I mean I just played this Americana music conference in Nashville last week and there are all sorts of Folk events… You know, one year we played main stage Vibes and then the same day we played main stage Falcon Ridge Folk Festival. And I’m proud of that. I think it’s really cool. Music is music. It speaks for itself. You don’t choose your audience, your audience chooses you so I’m just happy to do what I do and find a home wherever that may be, you know? Griff: I do and that’s well said, brother. So what have you been listening to the past couple weeks? What are some things you’ve gotten into lately? Ryan: My friends Greensky Bluegrass just gave me their new cd so I’ve been listening to that. And then… ahh… I was listening to Charlie Hunter, his record called Return of the Candyman, from a while ago. I used listen to it in college. He’s got vibraphone on there and I’ve got some shows coming up with Mike Dylan on vibes so… I’ve also been listening to Brazilian Girls. Griff: Cool man, sounds good. Well I appreciate your time today, brother, thanks for doing this and I’m definitely psyched to see the show. Ryan: Yeah, I’m looking forward to it man, that place is special. Can’t wait to play there again. Ryan Montbleau plays Infinity Hall Norfolk this Wednesday 10/8 backed by a full band. Tall Heights opens the show and more. This is the opening night of their tour supporting the new single, All or Nothing/Fast Car by Ryan Montbleau & Tall Heights available now across all digital music platforms. You buy it.